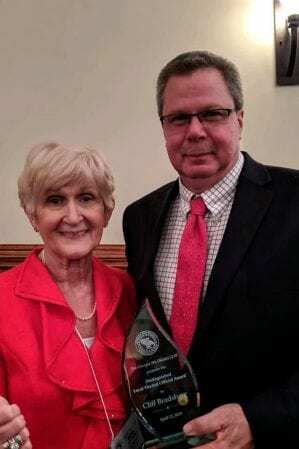 DILLARD, Ga. – Towns County Commissioner Cliff Bradshaw was awarded “Distinguished Local Elected Official” by the Ninth District Republican Party at a dinner ceremony at the Dillard House in Rabun County April 12. Towns County citizens submitted letters of nomination, leading to Bradshaw being selected for the recognition. Commissioner Bradshaw told FYN that he was deeply honored to be nominated and recognized. 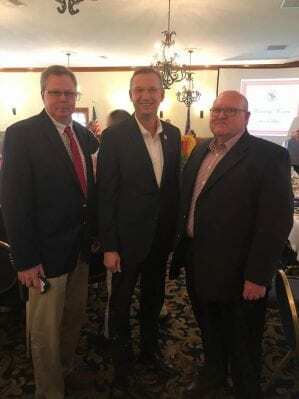 The Republican Party hosted the Ninth District convention the following day, April 13, in Dillard. Towns County Delegates representing Hiawassee are Chair Donna Barrow, Secretary Betty Phillips, GOP Chair Betsy Young, GOP First Vice Chair John Alger, Cecil Dye, and Trina Coleman. Young Harris delegates are Chair Charles “Chuck” Luca, Secretary Betty Luca, Scott Ledford, and Harvey Cohen. Delegates representing Macedonia are Chair Daren “Bear” Osborn, Secretary Todd Tibbets, Jeff Pierot, and Melissa Griggs. US Congressman Doug Collins attended the convention, addressing the delegates. The Georgia Republican Party will hold its state convention May 16-18, 2019, at the Savannah Convention Center in Savannah, Georgia. The event is open to the public, although only delegates may participate in the business matters of the convention.